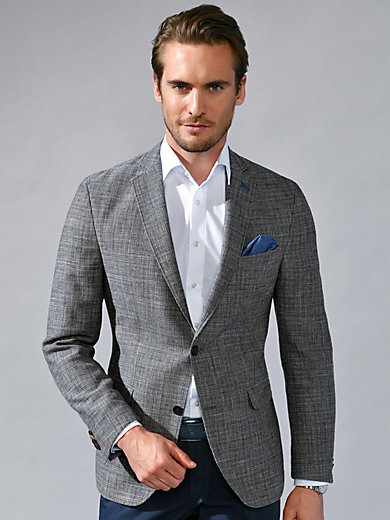 Sports jacket by CARL GROSS made from exquisite material in pure natural material – the multicoloured yarn means the jacket is perfect for mix and matching with countless different colours! Elaborately fashioned in the familiar fit as a double-breasted design with 1 breast welt pocket, 2 flap pockets and side slits. Numerous inner pockets. 46% new milled wool, 43% cotton, 11% linen. Lining in 51% viscose, 49% acetate. Length approx. 74cm/30ins. Dry clean recommended.